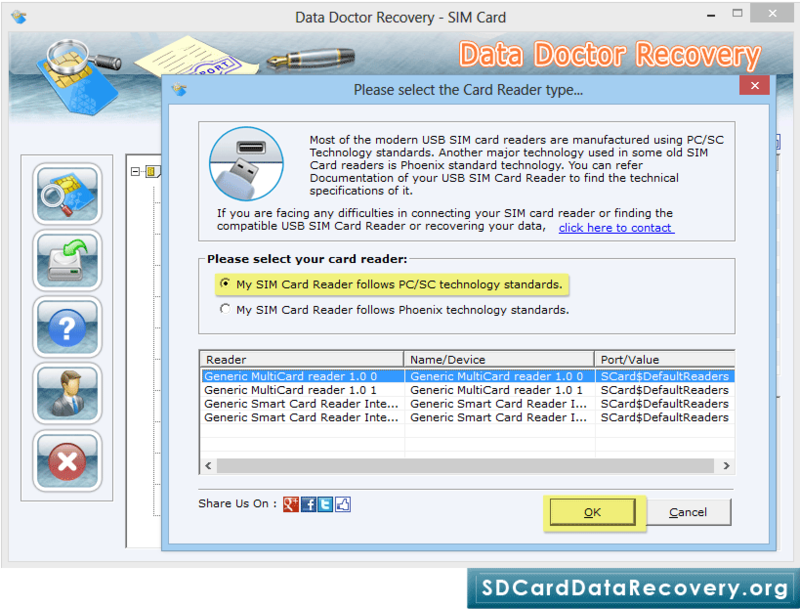 Select your sim card reader type and click OK button to continue. 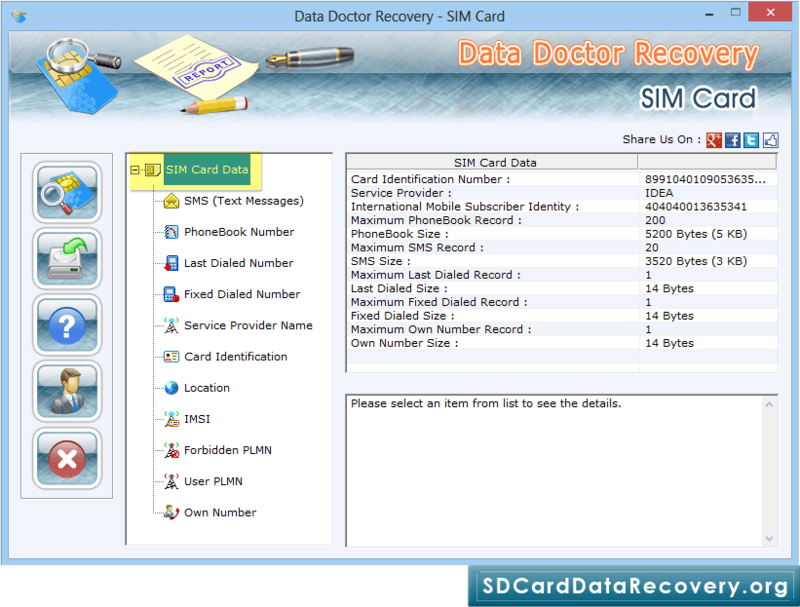 Select 'SIM Card Data' to see the sim card details. 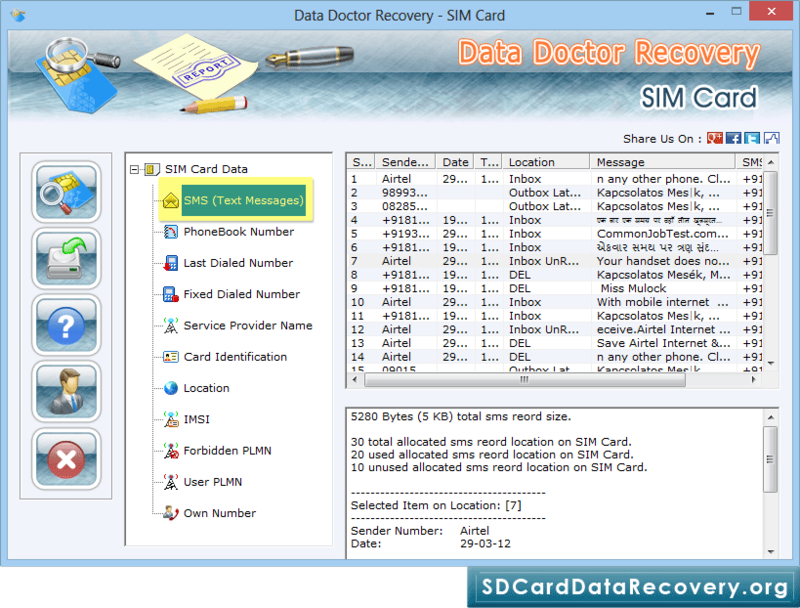 Click on 'SMS (Text Messages)' option to view recovered text messages. 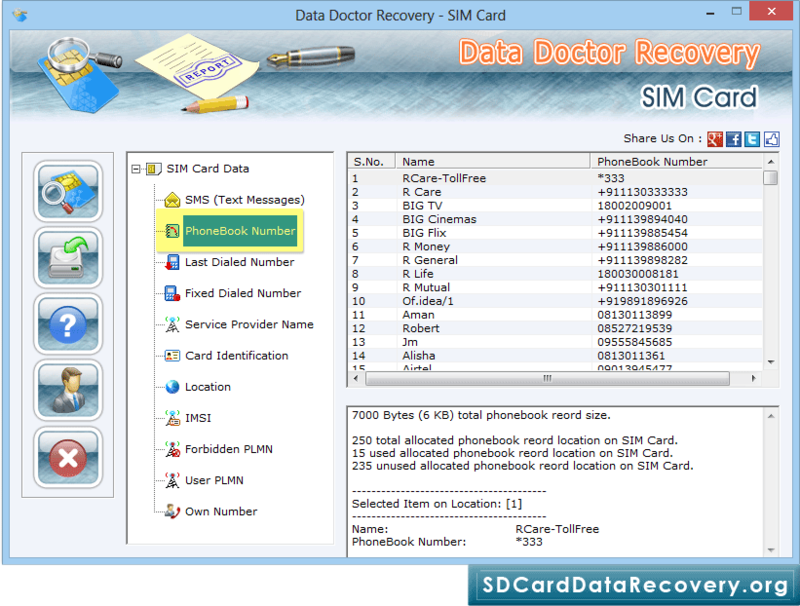 Click on 'PhoneBook Number' option to see the recovered phonebook numbers.